Between the 1910s and the 1970s, nearly six million African Americans migrated out of the rural south and into northern cities. Why? Because, as Michael Bradford’s representation of Chicago Defender founder Robert Abbott says, in 1919 northern cities like Chicago presented African Americans with the “possibility of living in the full of one’s own humanity.” Michael Bradford’s Migration captures this spirit as it takes a personal look at the movement of millions. Migration, in its premiere run, is the last production of eta Creative Arts Foundation’s 2015–2016 season. 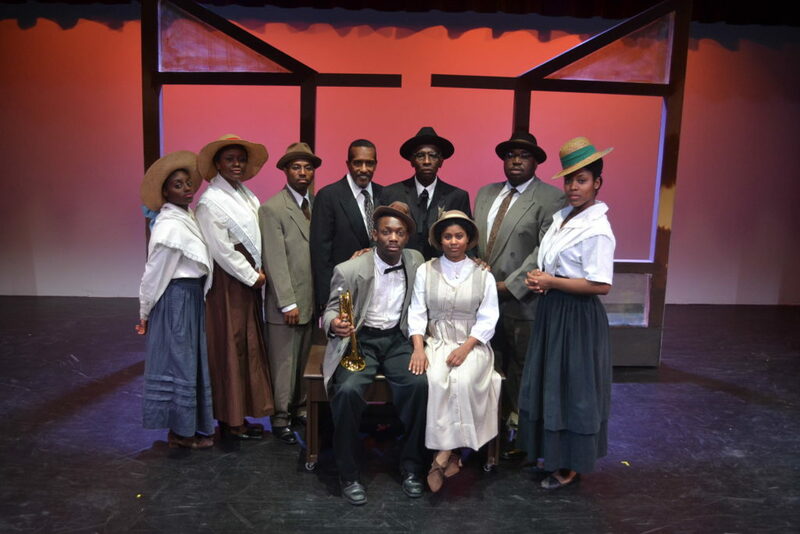 Written by Bradford and directed by Kemati Porter, the play tells the love story of Lillian Stride and Noble Johnson, two young African Americans living in Jackson, Mississippi, as well as the story of their migration to and time in Chicago. Lillian, an ambitious young journalist and the daughter of her town’s pastor, wants to leave Jackson for “possibility”—the possibility of fulfilling her dreams, of a better life unattainable in Jackson.